Gunfire noise while using firearms regularly exceeds the levels at which hearing damage will occur. Protect your hearing without blocking the sounds you want to hear with the NoNoise Motorsport noise filter hearing protection. Designed specifically for firearm enthusiasts, the Shooting noise filter hearing protection by NoNoise will help protect your hearing from harmful noise levels while allowing lower level noises such as conversation, and nature sounds to be audible. 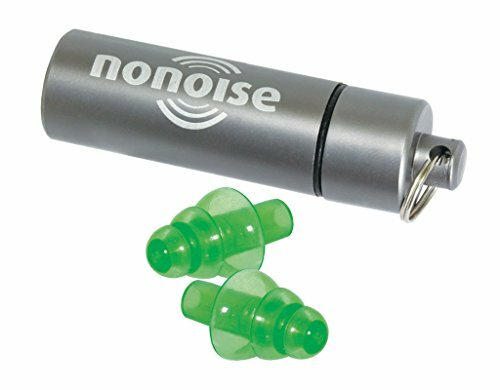 So much more than ear plugs, NoNoise utilizes ceramic filtration technology to filter higher sound levels that cause hearing damage but allow lower sound levels to be heard. If you have any questions about this product by NoNoise, contact us by completing and submitting the form below. If you are looking for a specif part number, please include it with your message.